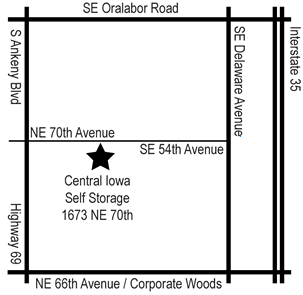 Central Iowa Self Storage is conveniently located just off Highway 69 South in Ankeny. Security is priority, so you can have peace of mind that your belongings will be safe with us. We offer a variety of self storage options all at competitive rates. Contact us today! 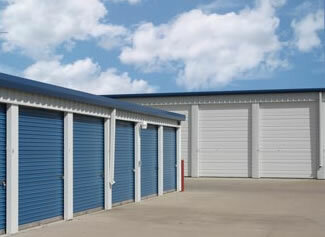 ©Copyright 2012 Central Iowa Self Storage. All rights reserved.